I have been here before. Take me to "What's New." Want to know when something's new at better-cross-stitch-patterns.com? Things like new cross stitch patterns, tutorials & how-to videos, helpful resources & references? It's free. You dont have to register, provide your email, or surrender your first born. Because at BCSP, free really does mean FREE. Don't have an RSS Reader, or don't know what it is, click here: What's RSS? Click here to learn more. Continue reading "Hoops are okay"
Continue reading "Why a hoop????" Even though we have cross stitch designs to choose, from as far as the internet reaches . . .
the loss of a marriage. or bravely meeting a difficult challenge. Often, we find comfort and meaning in a special verse, a poem, the lyrics of a song. And when we do, it's in our nature to want to share it through a craft we love. I think that's why cross stitch alphabets are some of the most popular and sought-out designs. That's also why I am so excited to begin designinga collection of counted cross stitch borders for you. to make this cross stitch border pattern truly your own. In a website, every page must have a unique file name. I smile when I think about naming my first set of cross stitch letters "Cross Stitch Alphabet." Little did I know then that I would design and publish 34 cross stitch alphabets and counting! That's what I'd like to do with borders - continue to design a large library of cross stitch borders for you to use. Click to see this first cross stitch border, named "Forever Tulips." "Even if you stumble, you're still moving forward." Currently our menu runs vertically down our left column. It has served us well. But more and more people are using devices with smaller screens. It's easier for them to simply scroll up and down, instead of scrolling right and left and up and down and back again. We want to satisfy all of you-- on the devices you use today, and on the ones you might switch to tomorrow. So, we are changing to drop-down menus that run horizontally, beneath our banner images. You see, websites serve two masters. Our second master, the search engines, like Google, Yahoo, Bing, and a host of others. Did you know that content isn't the only thing that determines where a website ranks in that list of search results? Search engines, too, have specific likes and dislikes, rules and preferences. Imagine "Gone With the Wind"in the bottom drawer of a desk in the back of a bookstore's warehouse. The best content doesn't matter if nobody can find it. Not every page will be listed on these horizontal drop down menus. You'll begin to see more pages restructured like our stitch tutorials--you go to page with all the stitches shown, and from there you choose a specific lesson. Or you'll go to an overview of all cross stitch supplies, and from there you select specific supply pages. Now this is where you just might see me stumble--it's not going to be accomplished in one or two days. Realistically it may take a week or two to get all the links updated. You might get lost, you might come across broken links. I have updated and categorized the Site Map, so you can more easily find the information you need from there. Email if you get stuck. I want to continue offering information and patterns that are free. If that means I have to jump through a couple of hoops, I guess can use the exercise. Ask and you shall receive? Well, maybe . . .
Do you know what a WHITELIST is? Have you ever needed to reset a password? You sit there, on the edge of your chair, anxiously awaiting to receive that all-important email response. You wait . . . and wait. Even worse! You're stopped in the middle of a cross stitch project because you've encountered something in the chart that you don't understand. You send a question, using the website's "Contact Us" feature. You wait . . . and wait . . . and wait. Well, there's a chance that the answer may be sitting "somewhere" in your email account. I just learned about this, and figured that there might be others, like me, who didn't know. Here's the scoop. 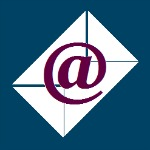 Many email providers presort your mail on it's way to your inbox. They try to identify which incoming mail is spam, scams, pfishing and other types of unwanted communications. They then take those emails and divert them into folders other than your inbox. is when you tell your email provider that you want to receive emails from a specific email address. Our "Contact Us" page has information on how to make sure your email service isn't stopping the very emails you've requested. Just click here. And as always, keep on stitching! that you've done something. Certain you remember doing it. Absolutely positive. And then you find out you didn't. Thankfully, someone nicely brings it to your attention. If you're lucky, not too many people notice. So you fix it quickly and quietly. Under the radar. Except when it's on the internet, potentially seen by a few thousand of your closest friends. So, I've decided I'm going to embrace it. I'm going to shout it over the internet! The rose color version of this pattern has been posted for quite some time. If you look closely, the teal design has a slightly different border pattern - the crosses and the hearts are arranged a bit differently. In the background are barely-there opalescent crosses stitched with Kreinik Blending Filament. If you haven't noticed these patterns before, a lacey border surrounds the words "Love Bears, Believes, Hopes, Lasts" based on the much loved Bible verse from I Cor 13:4-8. Our philosopy, as a website, is to not collect personal information, even in the form of your email address, in order for you to access either the information or the patterns. Because of this, we don't know how many people use specific patterns from our site. But I do know that this pattern, and these words, have touched people. I am surprised at how often I hear from stitchers who are using this chart, not just for couples, but also for cherished friendships and to remember and honor loved ones who've passed on. "Love is patient, love is kind, it does not envy, it does not boast. It is not rude, it is not self-seeking, it is not easily angered, it keeps no record of wrongs. Love does not delight in unrighteousness, it rejoices with the truth. Love bears all things, believes all things, hopes all things, endures all things. Love never fails." I COR 13: 4-8. Like I say on my pattern page, "God knew what He was talking about." So now you can click here for a printable PDF pattern of "Love Lasts." The pattern now includes both the teal and the rose charts. Just in case you didn't notice. And it might just be the answer to those frustrating confetti stitches! CLICK HERE for our Straight & Angled Pin Stitch Tutorials. DO NOT CLICK on the link in my previous post. It says the page doesn't exist. But it does exist. I promise! Try to get it right the first time. The technical reason that the prior link no longer works is that I changed the underlying page name of an existing page, without realizing that it would negate the original link. Be careful when software offers to save you time. When I build a new page, it can automatically generate a blog entry. While that can save time, I unfortunately cannot edit it (er, correct it) after the post. I can never thank my husband enough for all of his hard work in handling the technical aspects of building this website for me. Come to think of it, these lessons apply to my life! So, if you haven't done it before, check out our tutorial. A Pin Stitch uses very small stitches to begin and end cross stitching, and can be worked from the front of the fabric. They are often hard to see in a video, so we've created a lesson with very detailed diagrams and instructions. Check it out and Keep on Stitching! Take the frustration out of frequent floss changes and confetti stitches. Our Pin Stitch Tutorial has detailed diagrams and instructions to make learning quick and easy. Continue reading "pin stitch tutorial for cross stitch"
"Bones" is the perfect Halloween cross stitch alphabet pattern and a bold choice for Pirates, Over-40, Dinosaur, Doctors, Nurses, Archeologists, Physical Therapists. Continue reading "Bones Cross Stitch Alphabet Pattern"
Needle threaders are a must for your cross stitch sanity. 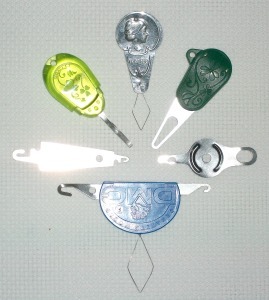 Don't buy a threader without seeing the best choices for the tapestry needles you use most. The times, they are a changin' . . . and so is BCSP.com! Watch for changes in our website's navigation, or menu structure. For example, we used to have every stitch listed on the left menu. Clicking on one took you to the page with step-by-step instructions on how to make that particular stitch. Now, however, you will click on "Learning the Stitches." 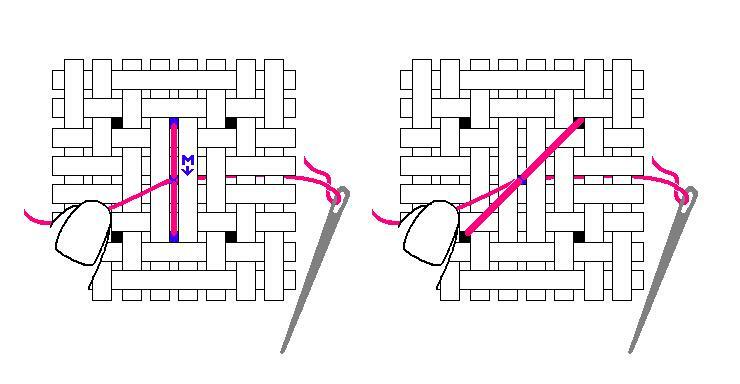 That will take you to a "Learn How to Cross Stitch" overview page with a graphic image, like these, of every stitch. Clicking on one takes you to its instruction page. Over the next few weeks, we will be consolidating all of our menus in a similar fashion. "Why in the world would you do that?" you may ask. Especially when one of our most frequent compliments is that our website is so easy to navigate. People are using mobile devices, like tablets and smart phones, to connect to the websites they used to visit with laptops or desktops. But, because the screens are smaller and of varying sizes, websites don't look the same. And it's not just appearance. The information is not as easily accessible. Because it's not accessible, search engines will not include non-conforming websites in your search results. That means that stitchers will not have access to all the great information on Better-Cross-Stitch-Patterns.com. So, as you're looking through the website, and you think you hear a muffled scream in the background, that's just me being dragged, kicking and screaming, into the 21st century. Brand New Cross Stitch Alphabet Pattern "Beloved"
Yikes! That was one long week! When I started my website redesign a couple of months into the New Year, I added an image to my "Free Alphabets" page using a newly-completed alphabet. I was thrilled to receive emails asking where to get the " 'May you live . . .' cross stitch lettering shown at the top of that page." Then, using my particular talent for overestimating how much work I can do and underestimating how much time I actually have, I said that it should be up in about a week. In the mid-80s there was a movie, named "Money Pit," starring Tom Hanks. It was about a couple who purchased a mansion that turned out to be a monumental fixer upper. Despite uncovering disaster after disaster, every time they asked the contractor how much longer the renovations would take, the answer was always the same . . . "Two weeks!" That first email was in April. Well, it's August and, finally, "Beloved" Cross Stitch Alphabet 33 is now available. Really! Click here to see the complete "Beloved" counted cross stitch alphabet. I'd love to see what you do with it. So please send me a photo! I've always wanted to have a gallery where stitchers can share their latest works. I might even be able to finish it, hmm . . . in about two weeks! PS: Thank you for the emails you send in appreciation of this website. Time is precious, and it means the world to me! Often, in the midst of a hectic day, it's just the encouragement I need. So again, thanks! 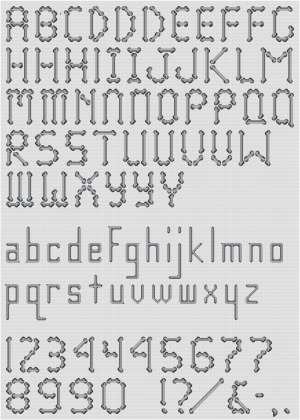 Continue reading "Brand New Cross Stitch Alphabet Pattern "Beloved""